As the youth of Bird-in-Hand, Pennsylvania, plant a garden in memory of their friend, Katie Ann begins to worry that her older brother, Ephraim, is dating her best friend. What if she somehow loses them both? But Christian, a new boy in the community, also works in the garden-and falling for him may be exactly the distraction, and lesson, that Katie Ann needs. 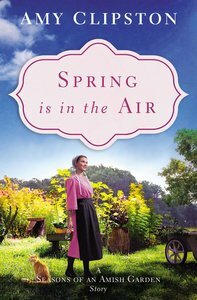 About "Spring is in the Air (Season Of An Amish Garden Series)"